Located on the rugged coastline of the Sunshine Coast, the modern estate of Pointhouse Suites is situated on a south facing point in Sargeant Bay, backed by west coast forest and 180 degree views of the open Pacific. 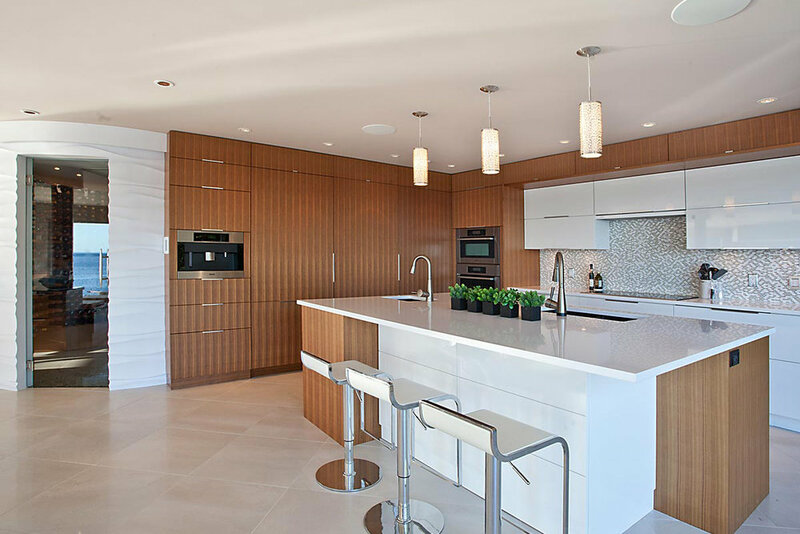 The largest of the Pointhouse residences is nestled into the granite rock face on the water's edge, with stunning views from the floor to ceiling windows in every room. Perched on a moss covered bluff, the architecturally designed guesthouse features sweeping expanses of glass that blur the boundaries between interior and exterior spaces. 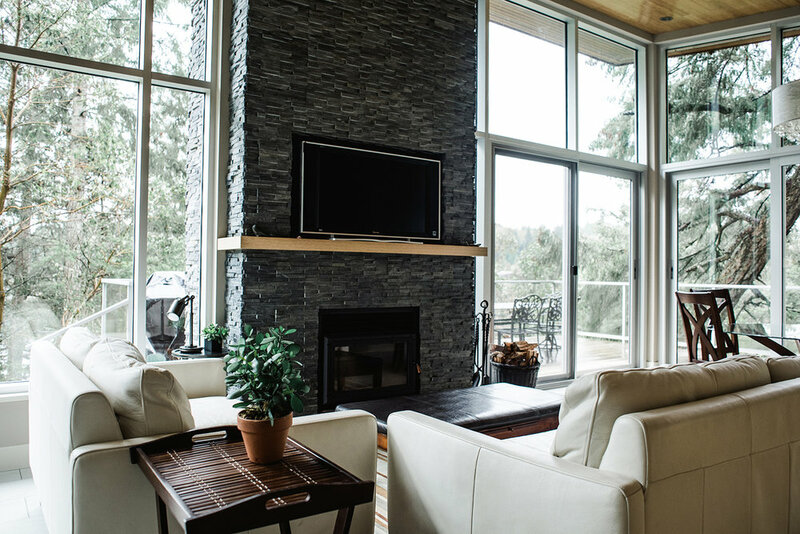 Wood burning fireplaces, luxury linens, spa-bathrooms, expansive decks and outdoor jacuzzis make this the ideal place to relax and enjoy the awe-inspiring landscape in a beautifully designed home in one of the most pristine coastal areas of British Columbia. Pointhouse Suites - Fashioned with the timeless look of a classic yacht, the modern, oceanfront home is equipped with 3 master bedrooms, en-suite spa-style bathrooms, premium linens, gas fireplaces, king size beds, radiant heat floors, smart tv's, private balconies and outdoor lounge areas. The large gourmet kitchen can seat up to 10 people indoors or outside. Pointhouse Suites is operated as a Bed and Breakfast and is also available to rent out as a whole. 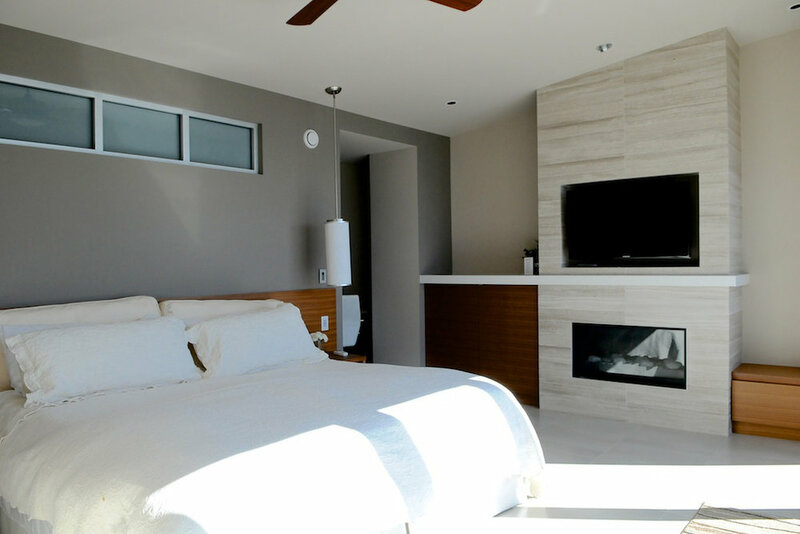 Aerie House - Tucked amongst the trees with ocean views, the architectural guesthouse features floor to ceiling windows, modern kitchen, wood burning fireplace, large outdoor deck, and outdoor hot tub. Additional features include surround sound', satellite TV, wifi, Apple TV, and laundry facilities. There is one master bedroom, but can sleep from 2-6 people. Annex - Situated on a landscaped corner lot across from the beach, this 3 bedroom, 2.5 bath home features cathedral windows in the main room with ocean views, modern kitchen, wraparound deck, wood burning fireplace, BBQ, private hot tub, satellite and Apple TV, wifi and laundry facilities. Pet and family friendly. Sleeps 2-6. 'Oceanfront' means access to a myriad of coastal activities such as fishing, kayaking and swimming off your own private beach. Designed for maximum privacy and relaxation, each Pointhouse suite also has luxurious bathrobes, slippers, Nespresso machines and tea makings, a 40” smart TV, clock radio with ipod hook-ups, complimentary high speed wireless internet service, Apple TV, and a mini refrigerator. There is a shared snack kitchen bar in the welcome foyer with sink, microwave, another fridge, dishes, and glassware. Guest lounges include the welcome foyer, main lounge, and prow. Aerie guests have access to a private beach, and shared kayaks, gardens and waterfront. 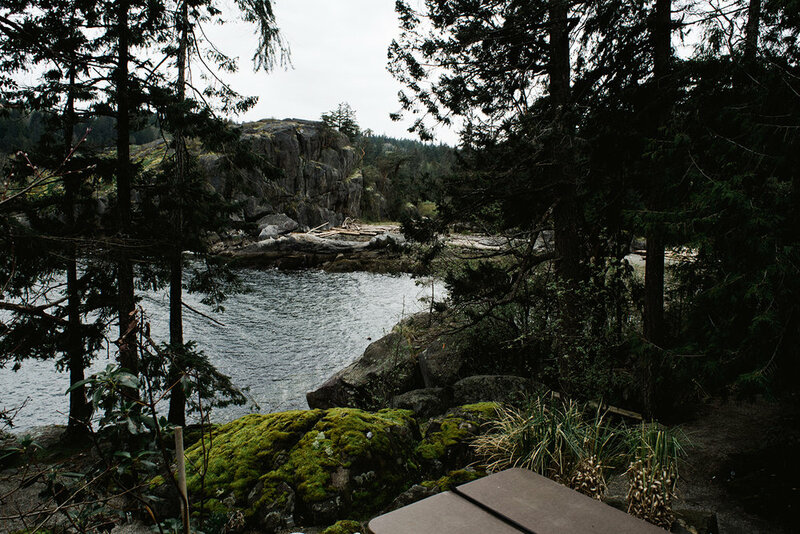 Annex guests have access to a quiet beach, and shared kayaks, gardens and waterfront. See specifics for each separate property listed above. Halfmoon Bay is accessible by ferry, boat or plane, within 2-3 hours from Vancouver. Inquire for more details. *weekly discounts available off peak. Pointhouse Bed and Breakfast is designed for adults, however children are welcome at Aerie House or Annex. Minimum age for renters is 25+. Pets are allowed at Aerie and Annex but not Pointhouse. Local attractions include: Cooper's Green, Smuggler Cove Provincial Park, Botanical Gardens, Trout Lake, Francis Peninsula and Skookumchuck Narrows.